The Oakley SI Lightweight Glove is mission-specific gear, designed for operations that require low weight with proven performance. 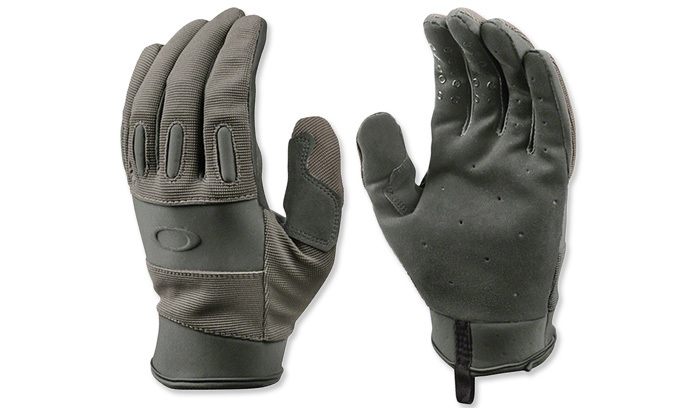 Breathability is essential for warmer climates, so this glove combines span nylon with Airprene for maximum comfort. Oakley utilized AX suede to maintain dexterity at the palms. A high-friction pattern on the fingers provides a sure grip. Airprene joint panels: Engineered for added breathability, Airprene is utilized in joint panels to improve fit and flexibility. This enhances both comfort and freedom of movement. O Stretch™: Combines the freedom of movement and comfortable fit of resilient four-way stretch with HydroFree™ treatment, a technology that repels water. HydroFree minimizes water absorption and moisture retention, and it allows the garment to dry more quickly.